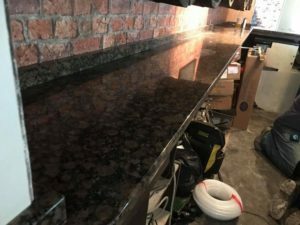 In August last year, we were asked to supply and fit a new granite bar in the Brewers Arms in Snaith. This was part of a total refurbishment which included new carpets, plastering and redecoration. 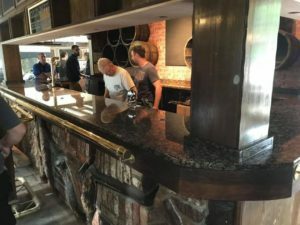 They wanted something to complement the dark wood throughout the pub, so chose Baltic Brown granite which is a beautiful characterful material. Being granite it is hardwearing and practical and will stay looking good for many years. We measured up the bar and created a template, then made a mock-up in our workshop to ensure a perfect fit. 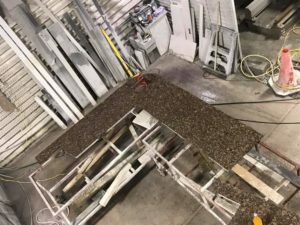 This was an important step as we were using such a large piece of granite and didn’t want to make any mistakes. Once we were happy that the template was the correct fit we started work on the actual bar. 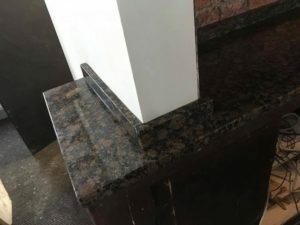 The granite was shaped for a soft flow, no hard edges required on this job. The bar has small upstands to finish it off nicely, so these were made too. When we had an installation date we loaded up the van and set off for the pub! It’s a tough job but we were up for it! 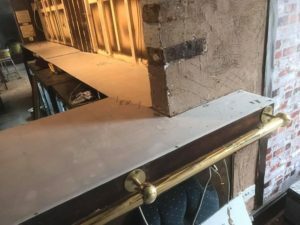 The old bar was removed in preparation for the new one, then we set to work installing the new one. We only use the best adhesives and sealants to ensure the finish is spot on. We were really pleased with the finished bar, as was the landlord. 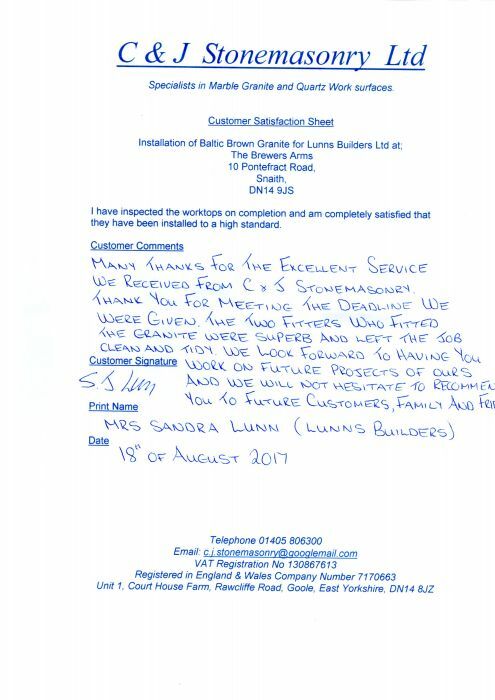 We received a great testimonial from the company who arranged the whole refit, and this is going to be the first of many pub refits.